Jody Bernal was born on the 12th of November 1981 in Bogota Colombia. On nearly the age of 3 months he was adopted by a Dutch family and raised in the city of Delft. As anyone from Holland will know, at the age of only 18, he has scored an enormous number one hit with the remake of the Argentinian summer song ‘Que Si, Que No’. Until this year, this song is still the longest nominated number one hit in the Dutch music history, 15 weeks to be exact! Several hits followed, songs as ‘Oh Bambolero’, ‘Un Beso Mas’, ‘Me and You’, ‘Dreams’ and ‘Chica Bonita’, from which he has received numerous awards and golden record statuses. Jody has been, due to his success, a public figure ever since. Being young and restless, he often received publicity in the media. Sometimes good, sometimes bad.. When Jody’s interest in ‘house music’ started to grow, he started producing his own music. Through discipline and persistence he educated himself in the craft of producing music. His preference goes out to music for the clubs and festivals. He started DJ’ing as a familiar face and suddenly got embraced by the club scene in Amsterdam. Starting as a resident DJ in the trendy and gay friendly Club ‘NYX' in Amsterdam, people started noticing his DJ abilities and rediscovering his quality as a performer. Jody’s eclectic sound, being a popular mix of house, disco and all time hits, made the promoters from events nationwide wanting to book his passionate DJ set. 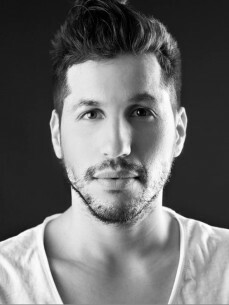 As of now, Jody Bernal has built up a great list of events he has performed at, like Valtifest Festival, Solar Festival, Bungalup, Freshtival , Wish Outdoor, Amsterdams Verbond and many more. He has started his own club concept, ‘Sjiek de Friemel’, which has become a popular event in three major cities in the Netherlands. He has even gotten rid of all clichés of the ‘Child Pop Star’ and has become a cult, DJ personality in a vibrant Dutch club scene.